Anjem Choudary, Britain’s best-known Islamist preacher, was jailed on Tuesday for five years and six months for encouraging support for Islamic State, ending years of frustration for police who had struggled to pin charges on him. Choudary, 49, and close associate Mizanur Rahman, 33, who received the same sentence, had been convicted by a jury in July of using the Internet to urge followers to back the banned group, which controls large areas of Syria and Iraq. 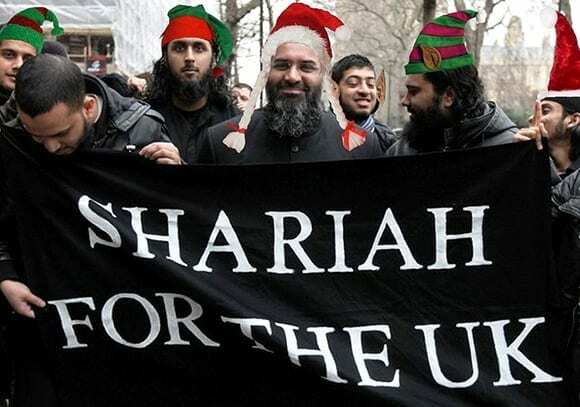 “These men have stayed just within the law for many years and there has been frustration for both law enforcement agencies and communities as they spread hate,” said Dean Haydon, head of counter-terrorism at London’s Metropolitan Police. The Brits allowed this nut case and many like him to spread hate freely without reprimanding him at all. If any Brit tried to this in Pakistan for example, he would not last long. From a non-observers perspective, the only solution to this kind of infringement is a brutal response. This is just the beginning of the trend change we spoke that is starting to occur in Europe. We suspect that out of nowhere the Brits will start to turn against the Mayor of London- pay attention to this development. If it comes to pass, it means that the trend is picking up momentum with lethal speed.